Rahul Gandhi has become the president of India’s grand old party. Nobody else wanted to, since none contested. By any parameter, it is not a welcome move in a democracy. Regardless of your views on his leadership abilities, the fact remains that there was no contest, no election for the top post. The only justification, that not even one among the tens of thousands of Congress members was in mind to challenge Rahul’s rise, cannot be true, especially after his and his family’s track record in recent times. There are two ways to look at the long delayed coronation. One is from the angle of dynastic politics. The other is from the angle of party-internal democracy. Much of the current discourse is focused on the former; whereas it should have been the focused on the latter. Needless to say, dynastic politics does not square with democracy. 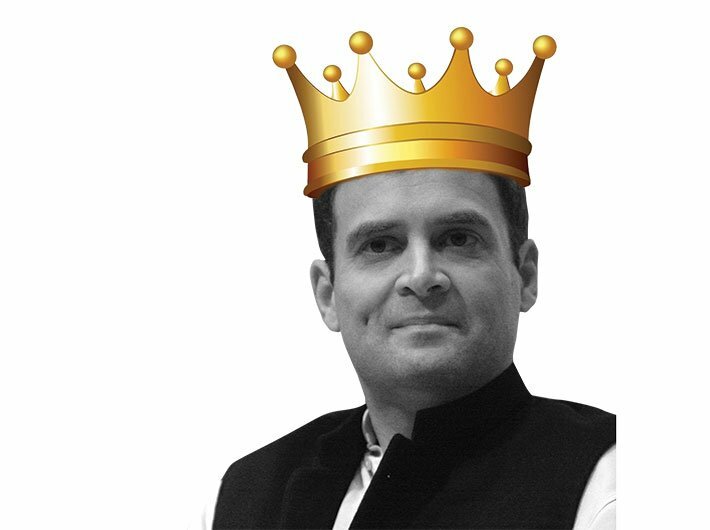 However, like countless other ills of democracy – which is always a work in progress – dynasties are a fact of life, in the Congress and other parties, in India and elsewhere. By one count, more than a dozen union ministers today hail from political and/or royal families (including one from the Nehru-Gandhi family itself). The same holds for a BJP chief minister. So many parties are family enterprises that it would be easier to count the exceptions. You can blame it on the short history of democracy and the long history of dynastic rulers. That would be simplistic. The US, which claims to be the oldest democracy in the world, has had in recent years one president who is the son of a former president, and it nearly had a president who is the wife of another former president. Family connections, as in arts or in business, or even the judiciary, can give one a head start. Is that a reason to ban it? Poonam Mahajan, to take an innocuous example, may have no track record other than her surname to secure the party ticket, but if she aspires to a political career, her lineage cannot be a handicap. In short, it would be unfair to beat Rahul with the unfair-advantage stick, because too many others have would need that beating. From Omar Abdullah to Biju Patnaik, from Sukhbir Singh Badal to MK Stalin, from Varun Gandhi to Chirag Paswan. Let’s leave it to the voters; they after all have the final word in democracy. Or, do they? The voters in the Mumbai North Central constituency did have a choice – of voting for the Congress or the BJP, and in the Modi wave of 2014, they were solidly in favour of the BJP. When the party fielded Pramod Mahajan’s daughter, how many of them would put principled opposition to dynasty over the overwhelming preference for the BJP? By extension, and this is mere hypothesis with little real-life possibility, but if people are unhappy with the BJP and vote it out in 2019, the person who has just been elected unopposed to the leadership of the oldest party has a high likelihood of becoming the next prime minister, or worse, naming the next PM. And the culprit in either case would be, not dynasty, but the lack of internal democracy. Precisely what Modi chided the Congress about during the poll campaign. The very point on which the Aam Aadmi Party kicked out the three gentlemen who formed nearly the whole of its intellectual capital. Once you take into account the fact of the whip system, the secret of Indian democracy comes to the fore: that between elections in five years, virtually all decisions come from, not people’s representatives as it is innocently believed, but the top leaders of the two, three or six parties. The BJP or CPM can claim a degree of democracy within, most parties can’t. When was the last time a chief minister or a party president elected in the real sense, the way people elect MPs and MLAs, after open contest and debate? The trouble is, unlike for reforming democracy at large, people can do next to nothing when it comes to reforming the internal democracy in our political parties. To return to Rahul, at least those few Congress leaders who speak eloquently of democratic ethos should have taken the trouble of learning from the robust history of pre-Indira days of the party, and ensured a healthy contest. Their eloquence will carry even less weight now.